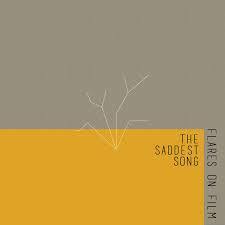 The Saddest Song is the first single from the Flares On Film’s new work . This second album sounds cinematic, nightly, rich in soundscapes wide open and dilated. Synthwave atmospheres recall without hiding the 80’s, those colours, those neon lights, Sci-Fi movies, the scent of rain, the streets at night with their mysteries, melancholic vibrations of those years. An album to listen to at night, during a long drive on a desolate road without traffic. Naive Songs is the name of the album, songs that talk about love and hope, when we don’t understand eachother, but we are trying to.